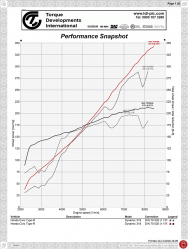 Intermediate Level: Engine Management Systems and Dyno Tuning in Theory and Practice. For those seeking the very best ECU training course available, we offer the Engine Management Systems and Dyno Tuning in Theory and Practice course so that interested parties can get to know modern engine management systems. 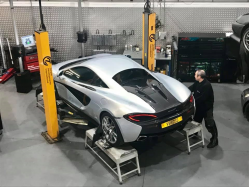 We assume that the attendees have no prior knowledge and the course takes just two days with both classroom and also practical training in a live chassis dyno environment with our dedicated training car. The aim of the Engine Management Systems and Dyno Tuning in Theory and Practice ECU training course is to bring the attendee fully up to speed on the subjects of base internal combustion engine operation and the fundamentals of engine management systems, by the end of this training we hope to impart a solid understanding of how engine management systems work and why, and equip you with the correct method for accurately tuning the Ignition and Fuel tables and the corresponding trim tables in a modern engine management system. This ECU training course is ideal for those seeking to refresh and/or improve their knowledge of the fundamentals and tuning of engine management systems. We take you all the way from an explanation of the theory of an internal combustion engine, through to becoming comfortable with live tuning an engine on a chassis dynamometer. An explanation of the trim tables used in ECU firmware to account for key variables such as engine coolant temp, barometric pressure, etc. Practical demonstration of analysing data- logged results to finish fine tuning ECU calibrations and trimming the engine for optimum performance. Interested in signing up for the intermediate Engine Management Systems, Dyno Tuning Theory and Practice course?